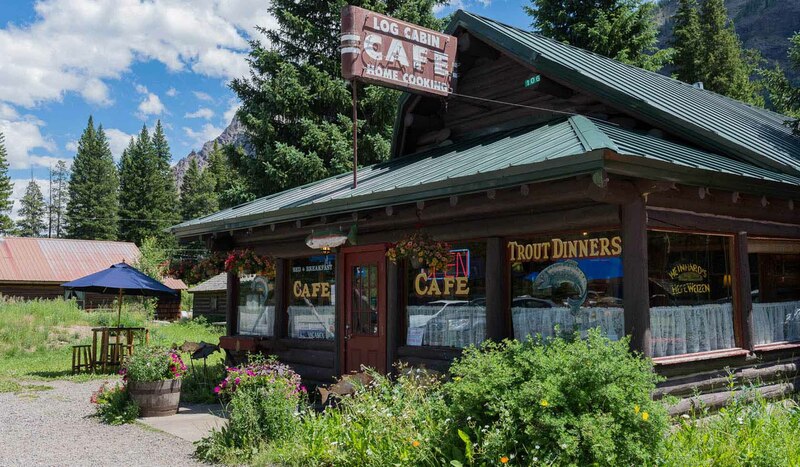 The Log Cabin Cafe is one of the Greater Yellowstone's longest continuously run cafes. Since 1937, hungry visitors have relished our home cooking. We have kept all the famous 1930s Cafe traditions alive, from our renowned pancakes to our famous pumpkin bread. Of course, our world famous grilled trout, a favorite standby for thousands of travelers every summer hasn't changed a bit. We serve it at every meal! We are dedicated to cherishing the restaurant's unique traditional roots. All our meals use local and wholesome ingredients: fresh vegetables and herbs grown without dangerous chemicals, breads made from Montana wheat, grass-fed beef raised in the shadow of the Beartooth plateau. Our ingredients recall home cooking of the past, when folks gathered around a dining room of authentic dishes from nearby sources. Like the meals we all might have tasted at grandmother's table years ago-- the Log Cabin serves a feast of fresh, hearty and delicious flavors! Stay with us in one of our original Silver Gate log cabins and breakfast is included.